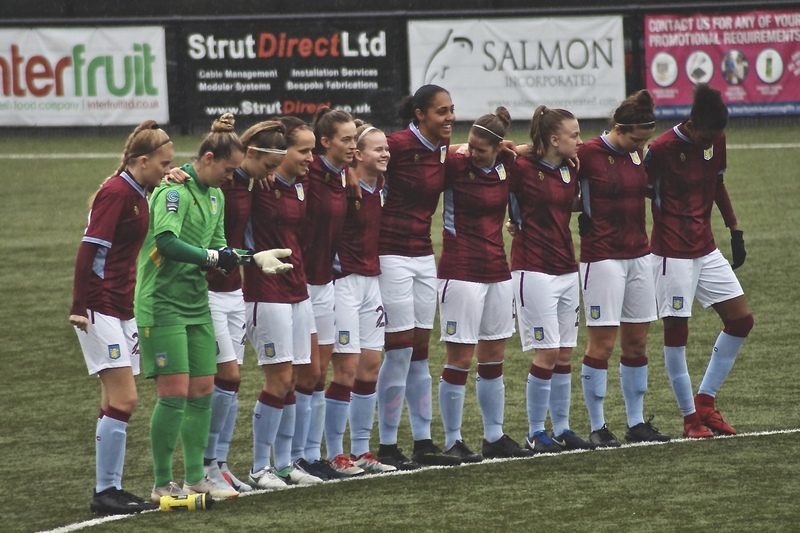 It was finally time for Aston Villa Ladies second home league game after many, many away games. 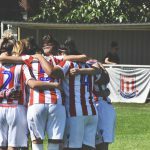 A visiting Durham Women had drawn with Manchester United the previous match, so a tough opposition and one we’ve had some right battles within the past including the incredible Spring Series game that we came back to win. A 12 pm kick saw the game start under dreary and wet conditions but it would always be a great day to get behind your team and try push them towards a result. 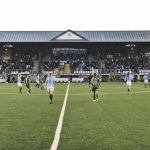 The teams were read out and the scene was set as the Ref blew the whistle ready for the game to kick off. But just before kick-off there was a minutes silence for Deadly Doug after his sad passing. 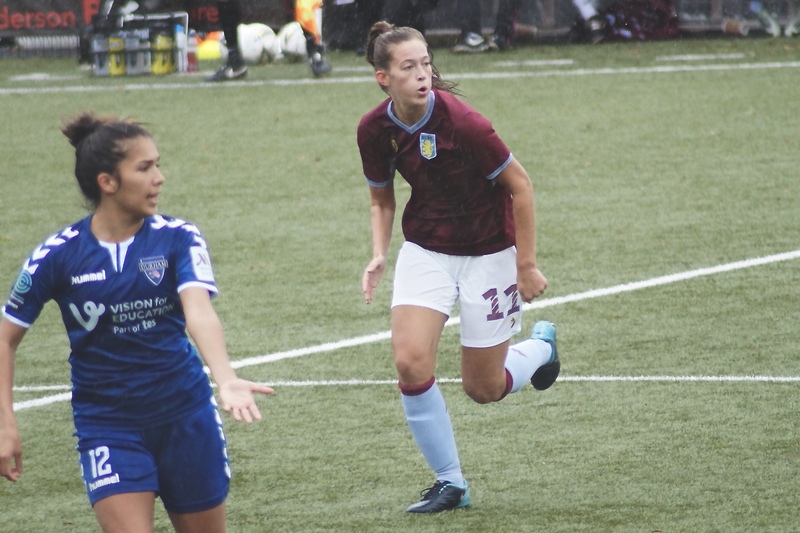 Villa came out the blocks fast with pressure from Alison Hall as she put herself about to upset the early momentum of Durham, getting at the players and making them rush. 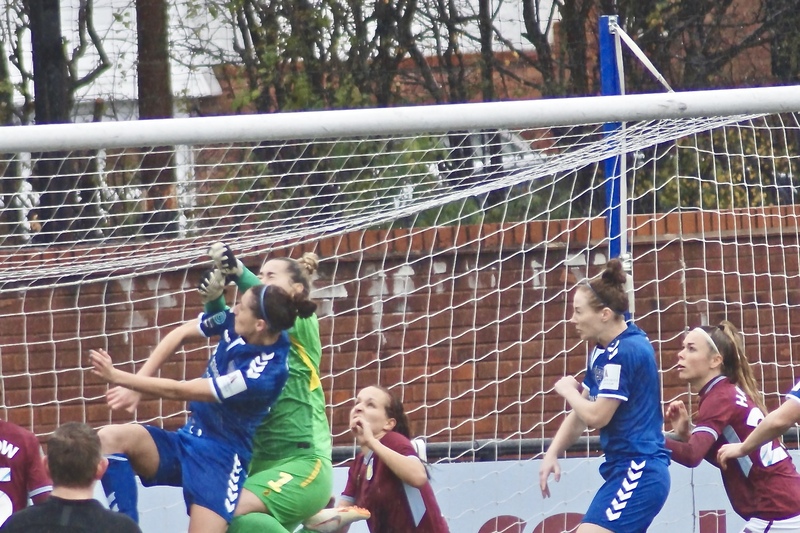 Durham started to grow into the game a little bit as on the 10th minute a ball was lofted into the box but just as the start Hall was there to make sure nothing came of the attack as she cleared the ball with a firm header. A few minutes later Hollie Gibson broke up the wing and put in a perfectly floated cross that Hall couldn’t quite get past the keeper as it stayed at 0-0 but each side created but couldn’t finish. A beautiful move saw Kerri Welsh hit the ball that just went wide as she nearly opened the account after some beautiful play that linked up towards the attack. 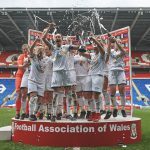 There was some good play in the centre of the park for both teams but the goalkeepers and some good defending meant there wasn’t a lot happening in the game until the 41st minute where a short corner was taken by Amy West that nearly ended in a perfect move as Welsh fired just wide. Once again just before half-time Welsh looked destined to score but it was stopped as an inch-perfect tackle came in from the Durham defender to stop the scoring being opened up. Both teams were creating chances in the first half but both also looked pretty safe as the first half came to an end it was just a shame that one of Welsh’s efforts didn’t go into the back of the net. West and Evie Gane were stand out players in the first half dealing with the Durham pressure that came forward. Jade Richards was solid at the back as well clearing what came her way. Richards put in an important block, one of many in the game as the second half started. 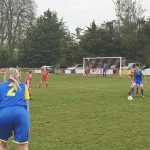 As always Elisha N’Dow got the ball at her feet and drove forwards, once she gets going she is hard to stop as she drilled the ball across the box but the ball went right in between Kerri Welsh and Alison Hall as the score stayed 0-0 in a tight contest. The game didn’t have many clear-cut chances but Durham started to build a bit of pressure to which Gibson and Richards were at the heart of stopping a lot. Just after the hour mark, Sian Rogers showed why England called her up for the upcoming camp as she pulled off a cracking save low down. 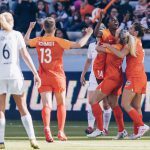 Less than five minutes later Durham broke through and hit a cracking shot that Rogers once again got her fingers too and tipped it up onto the bar keeping her clean sheet and Villa in the game. 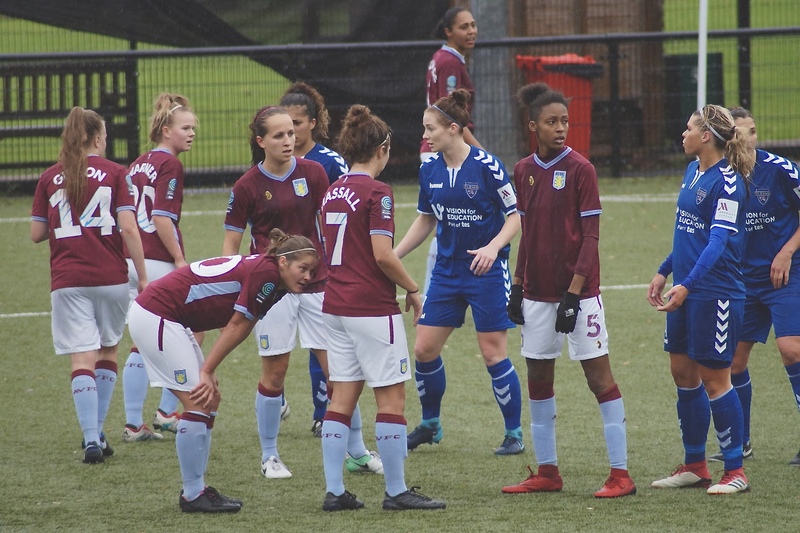 Tash Baptiste returned to the Villa team, which we are all so happy to see as we know how important she is to the team and squad (Still is part of one of my fav Villa Ladies moments as well) as she replaced Welsh who had done everything on the pitch but score. 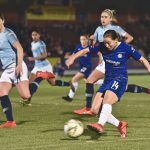 Rogers once again came to Villas aid as she pulled on a double save before Ria Elsmore came on for Gane who totally ran herself into the ground once again, I truly believe every single game she has played since joining she has been amazing for us. Tanisha Smith came on for Phoebe Warner late on in the game to freshen the legs up on the pitch for us as we reached the last 10 minutes of the match. 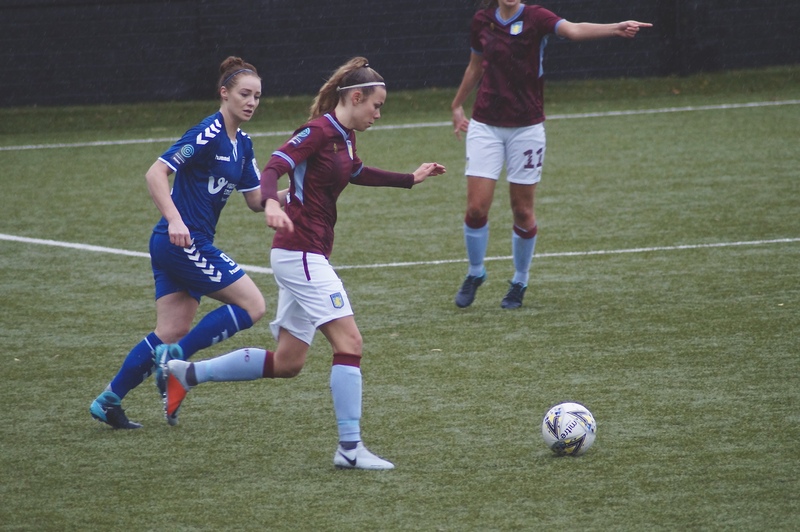 Hollie Gibson was working hard up the wing as Durham tried to push Villa but Hollie pulled off some incredible tackles to stop Durham getting on the scoresheet. 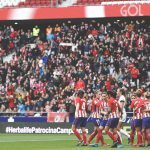 Villa came out after a lot of pressure which they withstood and played calmly to win a free kick late on in the game as we chanted Villa, Villa. Gibson lofted the ball into the box and Smith just couldn’t quite get her header on target, and we came close once as the ball was lofted into the box by Nadine Hassen as she hit it on the half volley and just as was about the leap up in the air Hall just couldn’t quite direct the header on target as the game stayed 0-0. As the game finished I couldn’t be prouder of my team as we picked up our first point of the Championship season and also a clean sheet only our second one of the season. Every single player worked so hard for each other on and off the ball. The return of Amy West is so crucial to our season as well, but also having Tash Baptiste back in the squad is a massive boost and a massive part of our armoury. Some of our play today was fantastic at times. Our defensive play was better and wasn’t rushed if you don’t concede then you don’t lose and today we were unlucky not to put the ball into the back of the net with the chances we had to take the whole 3 points and get our first win. But even in a draw, it felt like a win to break the stigma and get that first point of the board, the first of many. Our Ladies gave everything to the cause in terrible conditions and I know even though I speak for myself but I am proud of our girls in the Claret and Blue. 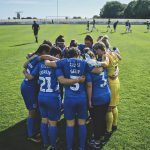 We once again go on our travels next Sunday as we play Leicester City Women away once again on 21st October, after picking up a 0-1 win against them in the Conti Cup. Our next home game isn’t until 4th November when we play Millwall at Boldemere. 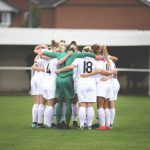 Onwards and upwards as the season continues now we can build on today and create some memory’s along the way, hopefully, it won’t be too long as well before Hayley Crackle and Aoife Hurley return to action as well as Jodie Hutton and Asmita Ale returning from success with England Youth set up next week. We love you Villa, We do.